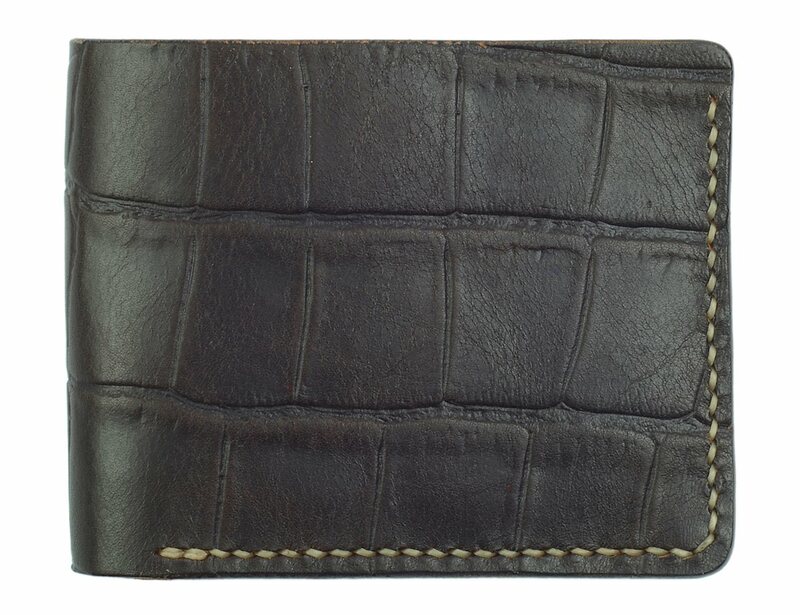 A traditional wallet style made from espresso brown crocodile embossed cowhide and lined with buttery tan cowhide on the interior. 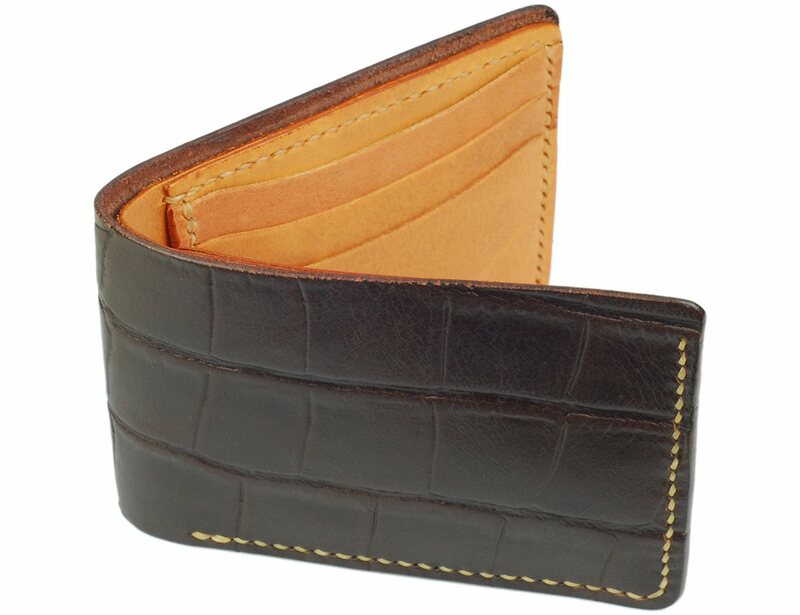 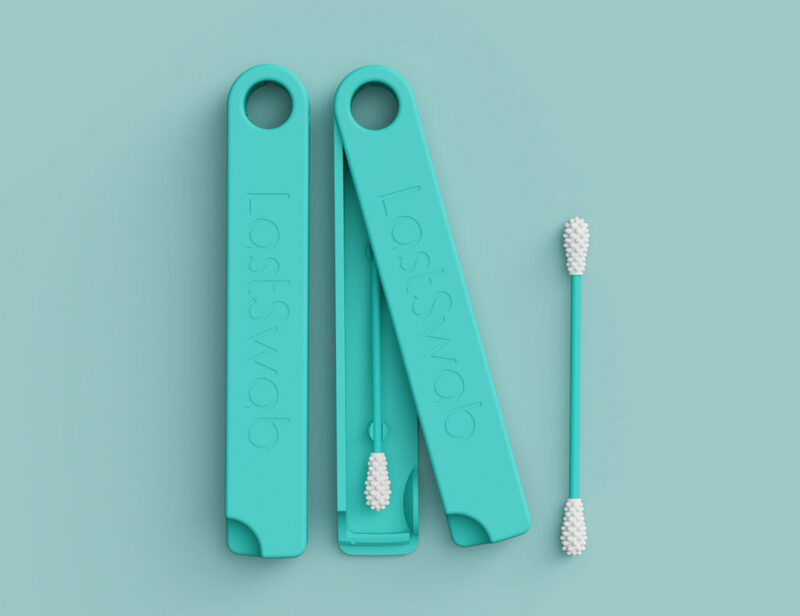 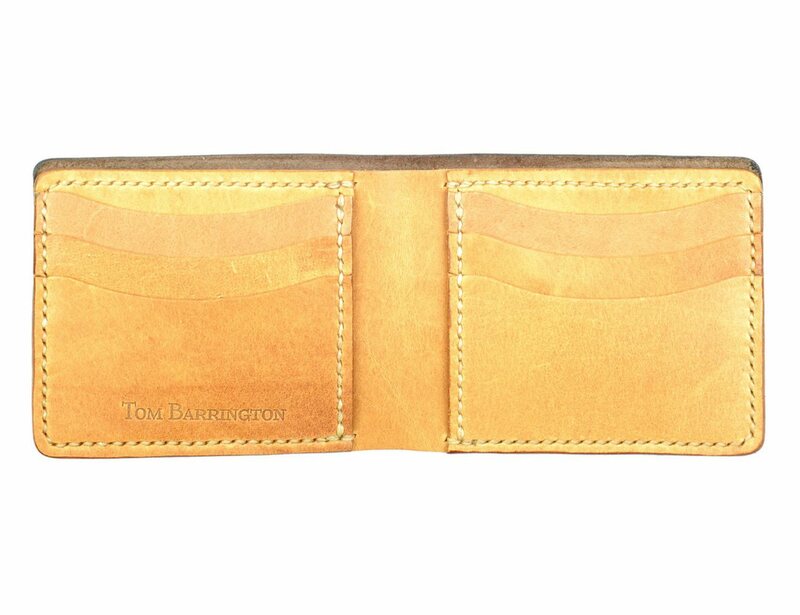 The wallet is standard size with 6 credit card slots, 2 hidden pockets and a full length cash compartment. 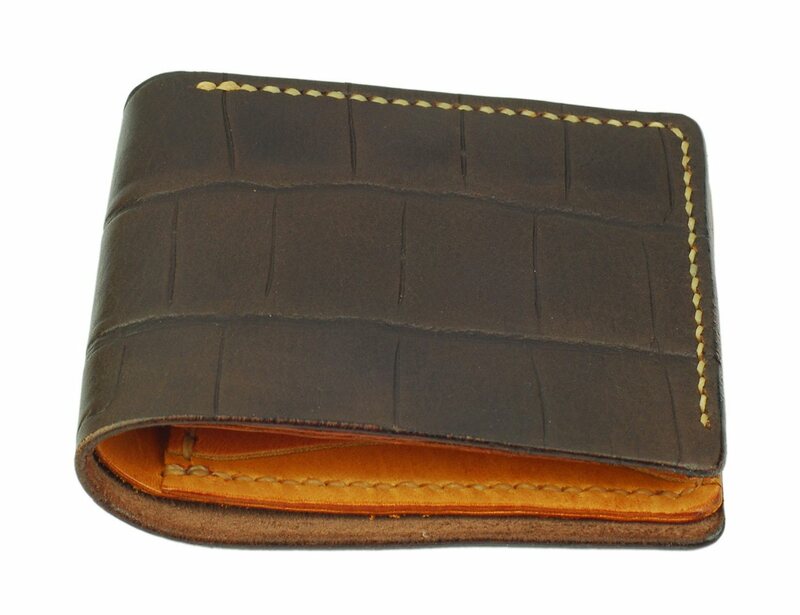 Completely handmade, this wallet should carry all of your essentials for a daily carry, and last a life time doing it.